Paul interviews Dean Stansel, a professor at Southern Methodist University. Stansel is the author of the Fraser Institute’s “Index of Economic Freedom of North America” which ranks US states (and Canadian provinces and Mexican states) on economic freedom. 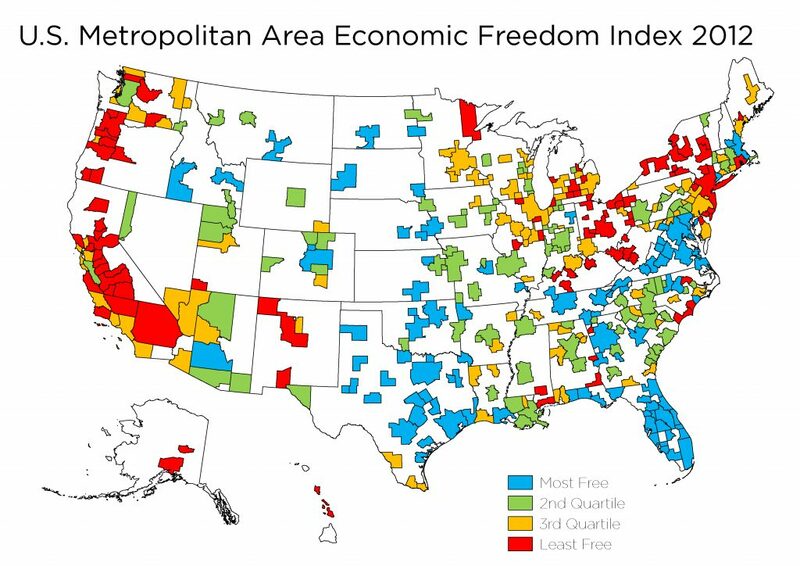 In this episode, however, Paul talks to Dean about his “Metropolitan Area Economic Freedom Index” which was recently published by Reason Foundation. Out of 382 areas ranked, New Mexico has four metro areas (Santa Fe, Albuquerque, Farmington, and Las Cruces) included. Where do they rank and why? What are the challenges associated with such an ambitious project? What can municipal governments do to improve their economic freedom? Paul: I see no mention of the unConstitutional gun legislation anywhere. In my thinking, you missed the worse part of this legislative session along with the illegal immigration issue. I suggest that those two problems will be the tipping point of this country. Economics is fine but in the Declaration of Independence, Life and Liberty do come before Property. Do not underestimate the will of the people to fight for all and money is not the prime motivation. When distrust of government ensues and chaos or disrepect for laws starts, an economy cannot survive. I did some research and found that only one of the several gun laws actually made in to Grishams desk. That is probably the reason that legislation was not mentioned. Still, I stand by my previous statements. I agree, however, it was a terrible session. You are correct Paul. RGF focuses mainly on economic issues. And, while the gun bills were bad we just don’t have as much expertise in that area.